Dry Needling involves inserting a tiny acupuncture needle directly into a pain-producing trigger point. For those who are uncomfortable with needles, there is no need for concern. The needle is so thin that over 20 of them can fit inside a regular hypodermic needle. 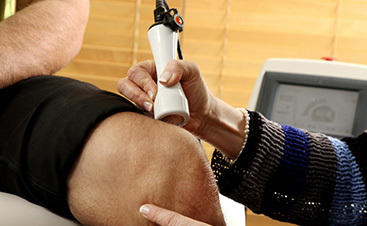 The procedure is painless and many patients don’t even feel the needle being inserted. Are Acupuncture and Dry Needling The Same Thing? Dry needling is like acupuncture treatment in that there is a small needle inserted into the trigger point. The main difference is that the dry needle is then manipulated in a very specific way to alleviate the trigger point. Dry needling is often found to provide almost instant relief from pain and increase mobility and function, whereas acupuncture may produce less immediate results. Could Dry Needling Be The Right Treatment For Your Pain? Patients who have not found relief from other treatment methods often find dry needling to be quite effective. The procedure often provides rapid relief from pain as well as improved function and mobility in patients with back or neck pain, sciatica, shoulder pain, plantar fasciitis, tennis elbow or after a major injury. Dr. Eric L. Mitz is a licensed biomedical-acupuncturist and dry-needling practitioner who is also a Fellow of The Acupuncture Society of America. After years of working with dry needling, acupuncture, and chiropractic treatments, Dr. Mitz founded Integrated Physical Medicine, the tristate’s only comprehensive multidisciplinary clinic dedicated to providing holistic solutions for severe conditions without the use of drugs or surgeries. 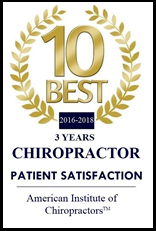 If you would like more information on how we can help manage your back pain, neck pain, migraines, anxiety, or many other issues, we would be happy to work with you to prepare an individualized treatment plan for long-term relief. Click to schedule an appointment with Dr. Mitz online or call at (812) 401-2140 today!